Umbrella insurance shields the insured’s assets so much stronger than their basic coverage would. It provides liability coverage over and above that afforded by the primary policy. It’s offered in million dollars increments to provide additional layers of liability coverage that can be so vital in today’s high medical cost and legal climates. For example, if the insured carries an auto insurance policy with a base liability limit of $500,000 and a homeowners insurance policy with a base limit of $300,000, then having a $1 million Umbrella means the insured’s limits become $1,500,000 on an auto liability claim and $1,300,000 on a homeowners liability claim. Whether it’s a serious auto accident involving pricey medical bills and property damage or an incident to a visitor on your property, you can quickly find yourself responsible for damages that exceed the limits of your primary auto, homeowners, motorcycle and boat policies. An expensive judgment is the last thing you need. In 2005, the national average vehicle liability award exceeded $406,000 while the national average premises liability award exceeded $541,000 with 15% of both these type cases exceeding $1 million in settlement. An added layer of $1M to $10M in liability coverage which can help protect assets like your home, auto, boat, future wages, savings and investments. Coverage for claims of libel, slander, defamation of character and invasion of privacy not normally part of ones basic homeowners policy. Helps cover defense costs, attorney fees and other charges associated with lawsuits. Most importantly, coverage to help those you’ve accidently caused harm, to recover and get their lives back in order. An umbrella policy is an essential addition to any auto, homeowners or other policy for extended personal liability protection. Most carriers require the insured’s auto, boat and motorcycle policy carry minimum liability limits of 250/500 and home policy minimum liability limits of 300,000 to obtain an Umbrella policy. Not surprisingly, Umbrella insurance isn’t just for the wealthy folks. In fact, it’s even more essential for those of us who don’t have an endless pile of cash to settle a judgment from. The Umbrella’s coverage protects above and beyond your base coverage and is much more affordable than one might think. 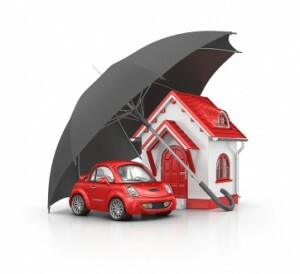 Most carriers offer Umbrella coverage over ones auto & home for as little as $15 per month. In today’s world, anyone can experience an accident and get hit with a lawsuit. That’s why it’s more important than ever to consider the added layer of protection for your assets, future income, financial future and peace of mind.